This is it! I've never been so excited and so happy in my life! Today I leave for the next part of the thrill. 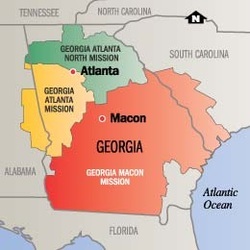 I'm headed to Georgia to teach the gospel of The Church of Jesus Christ of Latter-Day Saints. I'm in the MTC for only 2 weeks in Provo, then. bye bye Utah! I'm so grateful for my Heavenly Father, He has blessed me so much, and now it is time that I return his favor and give and serve boldly for the next 2 years. I'm so thankful for such awesome parents who have helped me and given me so much in my life. I'm am so grateful for a sister who has become one of my best friends. I was lucky to come into a family like this, and I cannot express just how much love I have for them. I will miss my fam, my friends, my neighbors, and Taylorsville; it's been my home for 15 years now. But I cannot wait to meet so many new people, and to interact, share the gospel and learn and grow spiritually, physically, emotionally, and mentally. I'm thankful for all those who were a part of my life, and left an impression. Without you I wouldn't be me. So until I return, keep up with my adventure in Georgia as my parents write and post on our new blog here I'll be sure to send back plenty of pics and stories. 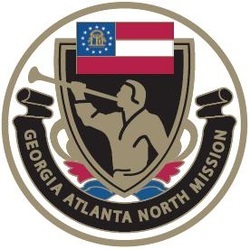 The Atlanta North Mission was formed on July 1, 2003.